So true. 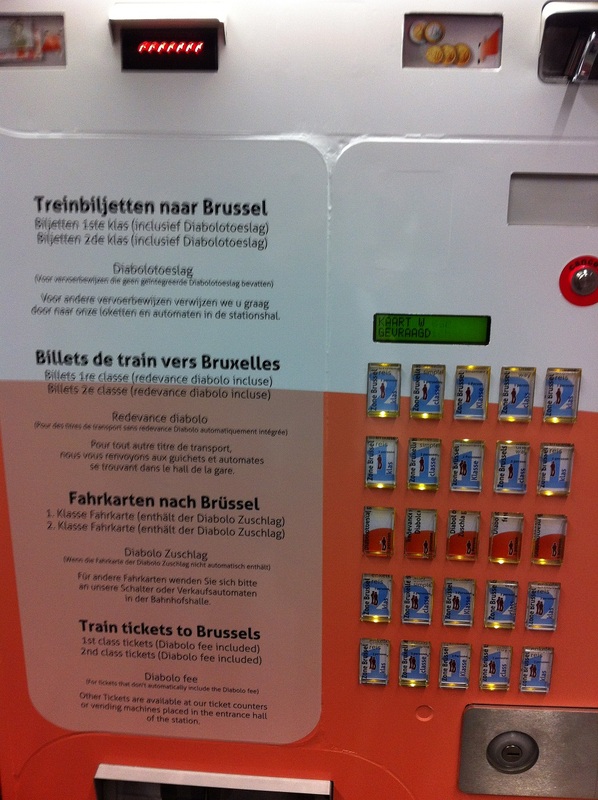 And if you want to go from Brussel Zuid to the airport, the two machines don’t take cash or cards. Oh, and it’s not the Airport, nor the Luchthafen, nor the Aeroport – it’s Brussels Airport, so don’t get it wrong (but remember, Brussels Midi isn’t in Brussels, it’s in Saint Gilles, so don’t expect to find it in Brussels. The airport is in Brussels, even though it’s in Zaventem. So don’t get this wrong or you will never find your ticket).